If you open up your inbox and find a flood of emails from those persistent business marketers, would you really go through each and every one of them? Neither would most people. Using email lists as a marketing platform can be a complete game changer when done the right way. At eTargetMedia, we know that in order to separate yourself from all the noise, you’re going to need to approach your emails with a certain characteristic that makes your readers want to peek inside out of curiosity. 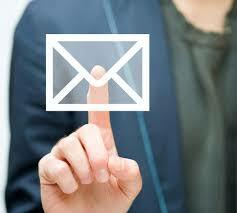 Email personalization can drastically improve your email marketing campaigns. Understand the different characteristics of the people that you’re targeting. This could mean having some quirky buyer personas, or even looking into their goals. Personalization is all about “not” coming off as a marketer in your emails. Honestly, nobody enjoys feeling like they’re being marketed to. As a marketer yourself, it’s important that you make your prospects feel like you’re catering to their needs and offering them a product or service that will add significant value to their lives. eTargetMedia offers email marketing lists that can be easily customized to automatically send follow-up emails to you valued customers. We know that there needs to be a level of familiarity to keep your customers continuing to open your emails in the future.